Trip Log – Day 268 – Washington DC to North Bethesda, MD | How Will We Live Tomorrow? 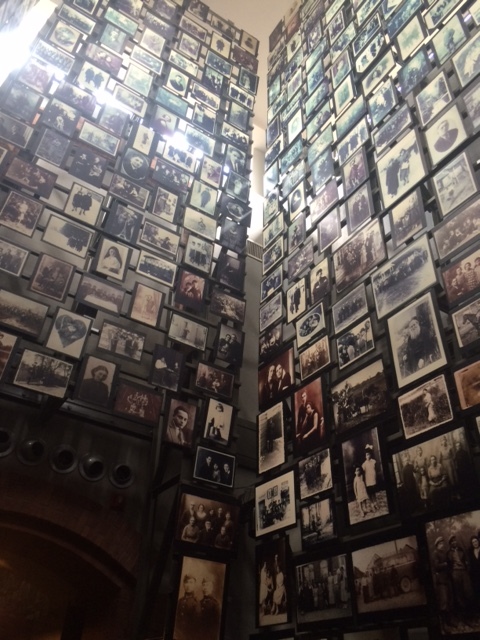 I spent the afternoon at the United States Holocaust Memorial Museum. I thought I was prepared, but when the doors open from the dark cramped elevators they pack you into to rise to the fourth floor and I confronted the first image, my stomach wretched. The information folks suggest it takes ninety minutes to go through the permanent exhibit, but I spent much longer snaking through the consciously confusing spaces. By the tine I completed the labyrinth, I was disoriented and exhausted. It is a good that this museum exists, that is addresses the shortcomings of the United States and the rest of the world in ignoring what was occurring in Germany, and that is still packed almost twenty years after it opened. It is important we remember. Back in the daylight, after a storm that didn’t cool off anything, I couldn’t consider any other sightseeing. I let my mind spin as I pedaled to my hosts in Bethesda. This entry was posted in Bicycle Trip Log and tagged United States Holocaust Memorial Museum, Washington DC. Bookmark the permalink.